Sakshi is a professional. I couldn't believe my eyes when I saw myself ready as a bride. She made me look so extraordinarily beautiful. She understands your skin tone, what would suit you and what kind of lehenga and Jewellery u would be wearing. She is highly recommended if you want to look fab on your Big day. Thank you Sakshi!! Thanks ? ?...it was my pleasure indeed! Sakshi is very professional and the makeup artist you should choose for your D day. I didn't get time to discuss my look with her prior to wedding. However, I loved my look and got compliments from everyone. Couldn't have looked better than this. Thank you so much Sakshi!! Sakshi is a great make up artist. She did really good make up for me. She didnt make me look fake. She made me look flawless. I would recommend everyone to get their make up done from her!!! Thank you so much Raunak???? Sakshi is very professional and knowledgeable in her field. She will take all the time needed to make you look perfect!Â Thank you for making me feel beautiful and confident on one of the most special days of my life. I highly recommend her services! Thank you so much Divyanshi...looking forward for the wedding day!! Sakshi did an amazing job. She made me look really beautiful. The staff was also very co-operative. The makeup was flawless and perfect according to my attire. I would definitely recommend her. Thanks Sakshi! Thank you so much Sakshi. Never thought of how will i look as a bride but on my d-day everybody was complementing me. Especially my eyes. I was ready on time. Sakshi is such a hard working person. Thank you for making it perfect. My mom nd sister were also looking very pretty. Thank you so much Garima...it was a pleasure indeed! Sitting in Paris and looking for Photographer in India wasn’t easy at all! I am so happy to say, it’s hard to put in to words, how blown away we are by your work. We are thrilled with the images you took and received so many compliments. There were so many incredible and special moments that you & your team managed to capture so perfectly, and so naturally, which is just what we were looking for. You not only captured smiles but souls. We really liked the play of angles, lights & colors in your pictures. From the moment you arrived, you blended into to the background, like a friend, snapping away and making us feel relaxed and enabling natural moments to be photographed. We were both really worried about posing for photos and being awkward, but you made us feel the complete opposite. You blended in to the scene so perfectly that some people thought you are part of our family. Thank you Hari! Hi Sakshi, I really wanna thank you sooo soo much!!!! U made me look just perfect on my D-day.... everything was just perfect subtle sober classy n as I wanted.... thankuuuu once again!!! Keep up the good work!!! N good luck for your future!!! Thank you so much! Thank you so much Ankita...it was my pleasure dolling you up for your d day! I wish I could give her less than this! She is a snob, I went to her for my wedding makeup, after taking 35,000 INR for one makeup she acted as if I was her student and not client! I was given less then 10 minutes for her makeup, the bindi she put almost gave up in 1 hr. Just imagine this on your wedding day! Her assistant pinned my shorts inside the lehenga to my lehenga while pinning the dupatta which made me uncomfortable for the whole time. I asked her the number of flowers I would need for my hair and she told me to get 15 while only 8 stick in my bun! That was 40 INR flower each! A makeup artist doing makeup to hundreds of girls might know that no one?s hair need that much amount of flowers! I would not recommend her to anyone and the biggest day of my life was ruined because of her! We have been mesmerized by Sakshi's Ability since my sister wedding which was in 2014 and nonetheless now she has improved to a better extent. If you want to look like your natural self with added glitter and glamour I will advice you to go for Sakshi Sagar Studio. Sakshi is such a sweetheart!! She is Unlike other professionals who are only interested in finishing the course... have been very accommodating and always available for any kind of make up suggestions and queries !! Moreover great at her work as she does flawless make up!! Will surely recommend to all the brides! Thank you so much Mishi...! Sakshi is an absolutely quintessential make up artist.she can work magic with her art on your wedding day which is essentially the most crucial day for any girl. I found her make up very natural yet beautiful for any occasion .Highly recommended. Sakshi did a wonderful job ! She is extremely talented and understands your requirement.I was extremely worried about my looks for every function before i met her. We worked together for the first time for a chowki function, and she did wonders ! And thereafter I got her booked for all the functions for myself and my mum. Best part about her is she is extremely passionate about her work. She gave me a different look for all of my 5-6 functions ! Without a doubt she is your go-to person for the big day ! One thing that every bride needs before her function is to be calm and not freak out about her looks, and she makes sure that all her brides are happy.. and in no way will she put you in tension or make u unhappy ! Trust her for the big day, you ll not regret it. Sakshi is a great make up artist and a great person too! For my engagement, I must have taken trials from atleast 4 people. After meeting Sakshi and seeing her work, I was pretty sure of getting my make up done from her.. completely loved the look without it being too loud.. which I think was my foremost requirement.. Everyone just loved the work :) she made me feel pretty and happy even more :) I have been recommending Sakshi to almost everyone especially the brides to be! Way to go Sakshi! Kudos???? Thank you Ankita..it was indeed a pleasure dolling you up for your day!! I found Sakshi on instagram and booked my bridal with her without even meet her and she amazed me with her work on my big day, received lots of compliments.. YES A BIG YES FOR SAKSHI SAGAR if u really want to look different from the trend and to be a trend ???? Got my engagement makeup from Sakshi and she did a stellar job...got many compliments for my makeup. Sakshi completely understood the look that i wanted with my outfit and implemented it very nicely. Keep up the good work! Looking forward to my bridal makeover with you! I got my bridal makeup done from sakshi and she is perfect with her skills, she made me look the beautiful bride ever. She is the perfect choice for every bride to be! ?? It was indeed my pleasure dolling you up for your wedding day....thanks for the complete trust on me! I got my bridal makeup done from sakshi and she made me look fabulous....The issues that most brides have with their bridal makeup is its durability, but my makeup was flawless till the end of the ceremony..... She is very patient, sweet and is awesome at her job and really understands the needs of her clients.....Her work is both neat and and elegant which is exactly what i was aiming for......I would definitely recommend her as i was very happy that i chose her to doll me up for my big day. Thank you Sakshi. Sakshi was the perfect choice for my wedding! Not only did l look stunning, she had the right attitude to make me feeling beautiful and special on my big day!! She has an exceptional eye for detail and I recommend her service a 100%. Sakshi is a lovely girl...I love the make up she coordinates with attire...in short d make up is just lovely lovely lovely! Amazing girl amazing make up ....amazing amazing amazing is the word...keep up d gr8 work gal! !wish u all d very best..
Fab makeup artist..amazing work !! Saakshi is just amazing. She did makeup for my mom in my sister's wedding.Everyone was so happy and pleased with her work. My mom got so many compliments that day. I can't thank her enough. She is incredibly talented and a very beautiful person. Sakshi Sagar is a fabulous makeup artist.I started my company:Fashion Capsule makeup shoots with her and she's experimented in numerous number of makeup and hairstyles on me and my designers as per theme look etc.Extremely happy working always with her. I am glad that Sakshi Sagar did my makeup....... I got many compliments from people....... I really loved the way Sakshi did her work....All the best Sakshi!!! I got my makeup done by sakshi sagar.she is expert in her work i had a very gud experince with her. I love sakshi's efforts which she puts in her works.The makeup she does is just flawless.She is great at her work and i really appreciate that. Sakshi is so amazing! She made me look and feel so gorgeous. I couldn?t have been happier with the results and I know everyone else was equally satisfied. She has a wonderful eye for color, respectfully listens to your requests and moves throughout the getting-ready period of the day with a calm, collected stress-free attitude.I would highly recommend her. She?s worth every penny! I had a very good experience with Sakshi doing my make up for me on my wedding day. She arrived on time, and had me ready on time. The make up itself was excellent. I wanted a slightly glamorous look, and that's exactly what she gave me. I had previously met with her and discussed colours and looks. She gave good advice outside of make up and hair as well. She listened and took what I wanted into consideration. She used well known brands, and I had no problem whatsoever with the makeup. It even lasted the entire time, in spite of the mandap being out doors, in the summer, at 5pm!! !All in all, I was very satisfied with the quality of her work! I got my make up done by Sakshi Sagar and she was really good. Sakshi is very professional and polite...Would definitely recommend her to everyone out there.She knows her art well, understands what brides needs..and gives her best in everything she does..All the best..
Hi it was an awesome experience getting making done from Sakshi Sagar...Liked every bit of it and would love recommending to my near ones in future....Wish her luck for future assignments. Sakshi Sagar is an extremely talented makeup artist. Her work is simply amazing and versatile in every form .Be it a north indian style punjabi wedding or a south indian style wedding, she makes her bride look subtle yet stunning on her 'The Day'. Sakshi is definitely one of the most talented makeup artists with an expertise that blends subtlety with class ! Got my makeup done from her for my brothers wedding and have never felt more beautiful! Got lots of compliments from everyone! Would definitely recommend her for anyone whose looking for the perfect makeup and hair services for theor big day!?? Her work is awssum..really liked a lot..i wud recommend her work to many more brides..
Sakshi is very talented and creative. Her makeup is flawless , highly recommended for all the brides to be! amazing work...she is very good with her hands .she is a wonderful artist. Sakshi is wonderful at her work I recently got a makeup done from her for my cousins weddings and got so many compliments from my friends and family...I did recommend Sakshi to my friends too...Wish her good luck for future endeavors!! Sakshi is a wonderful and creative makeup artist. She's my go to person for every occasion. She makes sure that you are looking differently gorgeous with varied looks every time. The best thing about her work is that she uses the latest and best selling products as she keeps updating her kit. Sakshi Sagar is a great combination of experience and new techniques as a makeup professional. Highly recommended for all kinds of makeup requirements! Sakshi is amazing with her work. Truly recommended if you wish to look your best for any occasion. She is a great makeup artist, approach her for amazing makeovers!! She is an amazing artist and she has this talent of making very girl look gorgeous.. Truely appreciated !! Sakshi sagar is an excellent make up artist ..her work is excellent ..
Sakshi is a passionate make up artist and her love for make up and styling is exceptional. I've been knowing her from 5 years now and she's one and the only person whom I can trust when it comes to makeup. Sakshi was my first and last choice for my wedding makeup.Shes just so brilliant at her work and is very honest.She's not someone who would tell you all sorts of stories and not deliver at end.Instead, she told me all what was required and what would actually be good for me very clearly.We wanted to be sure about her before hiring and she was very sweet to invite us at her home and patiently listened to us and our needs.Shes definitely one who can be trusted and i would definitely recommend her for any bride. Sakshi is an amazing make up artist! I had my make up done by her for a family wedding. She made me look beautiful. She is very professional, skilled and creative artist, on top of that extremely polite, kind and accommodating person. I had a fabulous experience working with her and I highly recommend her to anyone who wants to look and feel amazing on their special day! Thank you sakshi for making me look wonderful, your makeup skills are amazing..!! Sakshi is a brilliant makeup artist, I love her passion for her work..It's going to be two years now and everybody still ask me about my wedding-day makeup. I will blindly recommend her to everybody... Keep it up Sakshi!! A true artist who transformed my looks completely..... Amazing work !!!! Saakshi has the ability and class to make anybody look ravishing nd adorable.Her techniques and sense of style is unique.The makeup is never loud and accentuates the features beautifully. If I have to describe her work in one word it would be 'Finesse'. Her make-up is natural & flawless.She tries to understand her client's style & give them the look they desire. I highly recommend her. Loved her work.She is an amazing make up artist in the city. A close frnd of mine recommended her nd m so glad I took her suggestion.She has a great passion for her work nd she is superbly talented. Best part about her is that her makeups gives a natural nd elegant touch which all of us desire whenever we look for a good artist. I wish her all the gud luck nd great success!! She is an amazing artist juzz love all her bridal makeups ...she is extremely talented and very calm ..she really understands what customer wants .. just fantabulous..
She is an amazing makeup artist and also she is always trying to do better than her own self. Her work is extremely appreciable. I would like to talk about Sakshi as a make up artist and would take this opportunity to thank her via this medium, Sakshi did my make up for my engagement last year, I would like to mention that she made me look the prettiest to be bride, I feel i looked better than my wedding day on my engagement day. Best thing about her, she immediately knows what will suit you, the make up and the hair both. She likes to be prepared, thats why she asked me couple of things before the D day, I had never met her in person, so she had not seen me, she asked me to send my pictures ( with my hair open) and the dress I would be wearing on the engagement. So you dont waste too much time in deciding what is to be done. Her make up is not chalky, you look your natural best. With this I would like to conclude that, i looked my best on my engagement day and all thanks to her. Sakshi Sagar is a very impressive majestic up artist. I had taken her services for an important shoot in school. She helped cover my blemishes so naturally without making me look painted. The makeup added to my confidence. I would not think twice before using her services again. Skashi Sagar is a very talented makeup artist. She knows to perfection what her clients need. from make up products to application she is pro with it.She has given me fabulous make up and styling every time i have opted for her. i strongly recommend her to every one. she uses all the exclusive brands and highly reliable products. so if its make up it has to be Sakshi Sagar for me. Thank you Sakshi for the amazing makeup....wish you all the success!!! Beautiful work done by Sakshi Sagar. I got my makeup done and I was totally satisfied. I got my makeup done from Sakshi Sagar...it was indeed a great exprience...all the best Sakshi!! I got my makeup done from sakshi sagar and she did an amazing job...she is really professional & good with her skills..I absolutely recommend her to everybody!! Got my party make up done by Sakshi Sagar she is really good. It gives me immense pleasure to take this opportunity and appreciate Sakshi Sagar for her commendable work as a make up artist.She is the finest makeup up artist i have come across so far as she has beautiful aesthetic sensibilities and she realises how important it is to look yourself and still look the best. I highly recommend her to every one and would choose no one apart from her for my make up.Thanks alot Sakshi for making me look the prettiest on all my important occasions. Thank you sakshi for making me look wonderful, your makeup skills are amazing..!!!! I got my makeup done by sakshi sagar and she had done my make up faboulous.i had a very good experience with her. I got my make up done by sakshi sagar.She is very good.I had a very good experience with her. Sakshi has done a great job for me and my mother for a number of family functions ! !She's great at her job and completely professional! !I keep recommending her to my friends !Love her makeup!! It's very rare you come across makeup artists who really listen to what you want vs painting the face to their standard technique. A simple brief with a celebrity reference was all I had to tell Sakshi and the look she gave was one word..fabulous. To own the day when you most want to, is all you want when you work with a makeup specialist. Totally recommend and trust her for any event makeup. I booked sakshi sagar for my sister's wedding make up and my brides maid makeup.. i am very happy to mentiom that she is the a wonderful artist . it was an amazing and comfortable experience with her. she knows her job at its best.She uses the best make up brands and perfectly assembled kit. i would always choose her and recommend her to everyone. This is for my very dear Hair and Makeup artist, Sakshi. Sakshi is amazingly skillful at her craft, haven't seen anyone so passionate about their work. Her aesthetic knowledge transcends completely on the client she is working on. Her make up has the capacity to make you look fab from drab. Be it your bridal day or cocktail, she is sure to make heads turn for you. A big shoot out for the amazing work that she has been doing. Way to go girl. I got my makeup done from sakshi sagar & it was a wonderful experience, she uses all top brands , she made me really comfortable. I would recommend her to everyone! Wish u all sucess on your life. You are doing great by making womens more pretty and i hope for lifes you do that. Sakshi sagar will listen to you calmly, she will make all the stress move out of the window, make u so comfortable and beautiful offcourse. Got my makeup done by Sakshi Sagar. She is very good. I got my makeup done by Sakshi sagar . She is amazing . Very stylish and knowledgabl. Thanks dear for making my day special. I have had exceptionally good and satisfying experience with Sakshi. Each time I have got my make-up from her, she has raised her standard from the last time. I would surely recommend her to everyone . Iam writing this review for Sakshi Sagar.She did my make-up for the wedding and she's absolutely fabulous! She has a wonderful eye for colour,listens to the bride's request and ideas and has a calm and collected attitude.She was on time and finished as scheduled.She doesn't make you look like another person.Just works wonders with your features. I would highly recommend her ? she?s worth every penny! Sakshi is a really really good makeup artist. She did my and my sis wedding makeup and everybody complimented us so much, specially the eye makeup she did was just wow. She makes you so comfortable with everything that you don't feel that nervousness. Highly highly recommended. Like all girls I had the dream of looking the best on my wedding day and after a long search I finally decided to book Sakshi for my destination wedding in Goa. And it was the best decision as she gave me different looks for all the functions. The makeup was very natural yet very graceful. Indeed a fantastic job done by Sakshi! Sakshi is extremely talented and enthusiastic about her work. She is one of the most dedicated makeup artists I have come across. Her work talks for her. She is versatile and confident. Sakshi did a great job on my reception! Everyone loved my look. Highly recommend her. The most amazing makeup artist i have ever come across. Her products are top- notch. She doesn't stick to a typical look. She gives the bride what they ask for with a hint of her own magic. I am a stylist and I always recommend my brides to get makeup done from her. She is the best in the business. Fabulous work done by Sakshi! The make up done by her was amazing, so satisfied and happy with her work. I wish to have many more make up sessions with her in future. Great work. Keep it up. Sakshi is a commendable make up artist . With her zest for make up and beauty she has outshone in the make up industry . I love her working style and passion with which she follows it. It was a truly awesome experience letting Sakshi do wonders on me face at my sis wedding. The best is you can sit relaxed and she does the magic. Superb! The fact that I refer Sakshi to everyone I hear is getting married or needs any make up service proves that I am a great admirer of her work. I didn't know (still don't) know much about make up and hair and needed some one I could blindly trust. Someone who knew would transform me on my wedding and pre wedding function days, make me go back to those memories and admire myself in the pictures. I couldn't risk this a bit and when I saw her work on other beautiful girls, I knew I had reached out to the right person. She actually did wonders on by skin (which was actually burnt due to some chemicals two days before my wedding functions) making it look flawless without OTT. From the compliments I got and number of people who enquired about my make up post the functions, I knew it was job very well done. What made the experience even better was how she was so accommodating and patient and even welcomed me to her home. So Thank you Sakshi. Wish you all the success. I have had a very good experience with Sakshi. She is really amazing. She was very patient and nice. She helped me in enhancing my facial features. Would really recommend her to everyone. I would like to thanks Sakshi Sagar for teaching us such a beautiful n variations in makeup.. I once got make done from her and her work is flawless.. We love u Sakshi . Thank u so much once again for teaching as well as giving us such amazing look.. I booked Ms. Sakshi Sagar twice. Once for my sister's wedding make-up and then thereafter for my Bridal Make-up and for my mother's party make-up. I must tell you that she did a fabulous job! She is very punctual with her time. She is very professional with her work. 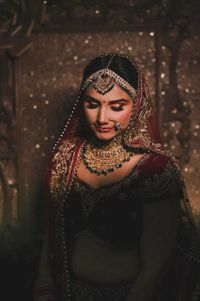 The best thing about her is its so easy to connect with her, to share one's thought about what one is expecting to look like on her big day! She grasp up everything so beautifully and with her magical wand and her polished skills, she gives you better than what you expect! She is well qualified and carry honed skills and does a wonderful job to make a bride look the best on her very special day! I will recommend her to every single bride to be and the bridesmaids..don't even think twice before booking her! She is the best at her work and at such a young age, she is a huge competition to the other make-up artist in India. Though a delayed compliment but I hope it's well worth. I had hired sakshi for my engagement makeup and she came up way beyond my expectations. I had just moved back from states so wasn't very sure about the kind of makeup tend, the makeup artists in Delhi or anything. On a friends suggestion and workout any trial makeup, I called sakshi directly for the final day makeup. She not only made me feel very comfortable with the makeup, her makeup made me look very pretty. She is amazing with her contouring and eye makeup especially for a round face like mine, my face not only looked longer with nice cheek bones but also pitch perfect. After being so impressed with her traditional makeup, I called her for my anniversary party makeup where the theme was western. Her makeup made me receive lots and lots of compliments again so I have no doubt that she is among the top makeup artists in the market today. Sakshi, is one of the best, infact the best make up artist I have come across in the longest time. She makes you feel comfortable, you can trust her completely with her art. She understands your personality, skin tone and suggests what would best suit anybody for the D-Day. I took her makeup services for my engagement and wedding. I think I could not have found anybody better than her for my special occasion. She truly made my wedding memorable and for my loved ones. My family took her services for my marriage ceremonies and they too had fulfilling experience. Sakshi is an amazing makeup artist i have come across, i would highly recommend her to everybody.she makes the whole experience very personalised & takes special care of what the client needs and then incorporates her style into the look,Her efforts show how passionate she is about her work..way to go girl! This was my first experience of getting professional make up done and i just loved loved it . Sakshi is just too good with her work , she made sure i carried different looks for all my functions . I am generally a very picky person , but sakshi gave me no reason to crib. I loved loved all the looks she worked on for me . She is so passionate about her work and it totally reflects in the final outcome . A friend suggested Sakshi and thank god i took the suggestion. I had the worst break out right before my wedding and it was nothing short of a nightmare. She did a fab job. The make up was so natural yet it gave me full coverage. Her work is flawless. Anyone whose getting married can choose her without a doubt. I never had make up done before this but sakshi made me fall in love with her makeup. For me it was total change amd i loved it She made my special day even more special Sakshi is amazingly good with her work! Sakshi has an eye for bringing out the glamour and beauty in each individual. She understands that a bride should look elegant and not made up. She uses the best products out there. She works according to what you want and what suits you well.. With her help i was able to achieve the look I envisioned for my wedding day. She is just amazing! I got my wedding reception makeup done by Sakshi. She came recommended by a relative and did a fabulous job. She took note of my personal taste and gave me exactly the kind of look I wanted. Very professional and not fussy at all. I had a great experience with her. Sakshi is very hard working and does amazing work...I got makeup done by her in 3 functions and she did complete justice to the look each day.. I hired Sakshi Sagar for my brother's wedding and she did a fantastic job. She made my skin look completely flawless with her makeup! Her makeup was the reason i was so confident throughout the functions. It totally made my day! She is a very talented girl. Had a wonderful experience with Her. She delivered what she promised. Very professional and understands your needs and does what suits you best. Have already recommended her to my friends and family. She is really good! Had a great experience working with Sakshi! The best part was that her package had a trial make up day so I could decide all my looks in advance, hence not having to stress on the day of the function. She really takes care to incorporate the client's suggestion in their over all look. Has really good knowledge of current trends and her high quality make up products ensure that there are no allergies/ smudges. And best part is that the make up is not over the top but does the perfect job for each occassion! I saw sakshi's work on facebook and really liked it so got my makeup done by her on my brother's wedding functions. She did an amazing job, everyone just loved her work. So i chose her for my important wedding functions and i have always been appreciated for the makeup done by her. She knows how to make one look beautiful and also enhance ones beauty more by highlighting the features the way she does it. I recommend all my friends and family to choose her as she is amazing with her job. one of my friends recommended Sakshi.. And I'm so glad I went with her. I was so apprehensive initially because make up can make or break your wedding day. I got ready hardly in one and a half hour both the days. Completely hassle free and I looked so natural. She's too good to work with. Sakshi is an amazing Makeup artist. her makeup makes you look flawless. The natural make up that she did for my engagement was very good. she uses very good quality brands and can give you exactly what you are looking for. she is also very friendly and helpful which is an additional benfit for all her customers. The most sought-after makeup artist you will ever meet . She is someone you can blindly trust. She prepares you in an exclusive way to fit the occasion. Sakshi has an eye for detail that makes her work out standing. Thank you Sakshi for sharing those personal skin care tips , they are very useful. Keep on working...you have got it in you !! I found sakshi through some wedding website.She is very friendly and professional, and captured what I was looking for.Makeup was one thing I knew I didn?t want to worry about on the day of the wedding, and it came out wonderfully. sakshi is a true professional, and has a passion for her work.Having her do makeup at my wedding was one of the first (and best!) decisions I made while wedding planning.The makeup was great, lasted all day through the function.I had her booked for my three functions,& she gave me completely different looks for all the 3.I felt flawless and fabulous.Overall I had a great experience and would highly recommend SAKSHI. Searched a lot on google for makeup artist for my wedding. i wanted someone who will do a natural looking makeup, make me look like me only in the best possible way. Found a picture of a friend of a friend on facebook who got her makeup done by Sakshi and it was exactly what i wanted. And what a fabulous job she did. As i dont know anything about makeup i left the choices entirely to her and just told her to be subtle and result were just beautiful. None of those glittery, weird, colurful makeups just natural, elegant, fresh, dewy face with wonderful wonderful looking eyes. I still see the pictures and can't believe it was me looking that gorgeous. Hair, makeup,draping everything was just perfect. Makeup lasted till morning without any smudging. A big thanks to her for making my big day really perfect. I loved loved her work and would recommend her to everyone. Sakshi Sagar, a very talented and a wonderful person. She did my engagement and wedding make up. I just told her, to do what she thinks will look best on me, and keep it as suttle as possible, and bang on, she did exactly what I wanted, within a span of 25minutes she finished my make up. She uses all amzazing brands, and her make up has that uniqueness, which makes u a really different. I am saying all this by my own personal experience, she is undoubtdly, the best make up artist, using the latest trends and also a extremely sweet person to be around. Sakshi... I had booked her for my brothers coctail function for party make up look...She was just fabulous ...she just gave me the exact look I wanted ...!! The. Makeup stayed onn till morning time without any smudging... She was an extremely pleasant person to interact with ...I would highly recommend her to everyone..!! Sakshi I wish you all the best for your future assignments ..!! Quick and best would be the right combination of words for sakshi. She is one of the best make up artist I have come across lately. Well thanks fr ur efforts and you are fabulous in what you do.. Thumbs up!! Have worked with Sakshi for my wedding. She did the engagement and the wedding makeup for me. All i can say is that i looked absolutely stunning :P . I loved my styling, makeup and hair. I am very picky about my looks but sakshi ensured that I am in good hands. She took breaks in between to show how the look is progressing which i liked. Will definitely hire and reccomend Sakshi for the future functions. She does great makeup for day functions! Sakshi is a genius!!! I booked her for my wedding makeup and I must say that I couldn't have been happier with how my makeup was carried out. I wanted a minimalist and understated makeup , she gave me exactly that without even me prompting her in between at all. My skin looked dewy and fresh throughout the function with a natural shade of lipstick and my makeup didn't flake out a bit ( which was a major concern for me as my skin happens to be really dry). She has an amazing team working for her as well. I had a very heavy dupatta and I decided for it to be draped over my head with the weight of the dupatta being a concern for me . Savy , the lady who does the hair and draping made sure that I was comfortable with the draping she had done and believe me I didn't feel the dupatta on my head at all. All in all , I made a superb choice by booking Sakshi for my D day . U like a look and she has the ability to recreate it on you , no questions asked !!! Me and my mom booked Sakshi for all five of my wedding ceremonies without even taking trial from her because a meeting with her convinced us enough about her talent. And indeed she s superb at her job. She gave me entirely different looks on each of my ceremony and I truly loved them all!! Not even even once I had to tell her to undo and not to do while she did makeup because she did it so perfectly overtime. i think the best thing about her makeup is that your skin can actually be seen breathing beneath the makeup. All our relatives loved my looks and my mom's too. Now when my wedding is over and I look at the pictures, I feel so glad getting in touch with her and our expenditure seems worth it. Great going Sakshi!! I truly miss those makeup sessions :).. Cheers!! Get best quote from Sakshi Sagar Studio and book your date! Check their prices and availability. Send enquiry to your selected list of Bridal Makeup at WedMeGood and choose the best. Browse for more Bridal Makeup in Delhi NCR and more wedding vendors at WedMeGood and plan your wedding hassle free.